Throughout history, most political struggles for dignity and justice have initially broadened rights for a select few and only extended them further after protracted struggles – many of which are still ongoing. One example of this is the fight for women’s suffrage; though 2018 marks a hundred years since some women were able to vote for the first time, class and race continued to be used by the powers-that-be to deny many other women this same right. Historian Dr. Laura Schwartz touched on these intersectional elements of the suffrage movement in her introduction to our 2015 screening of Suffragettes, which you can watch or read here. 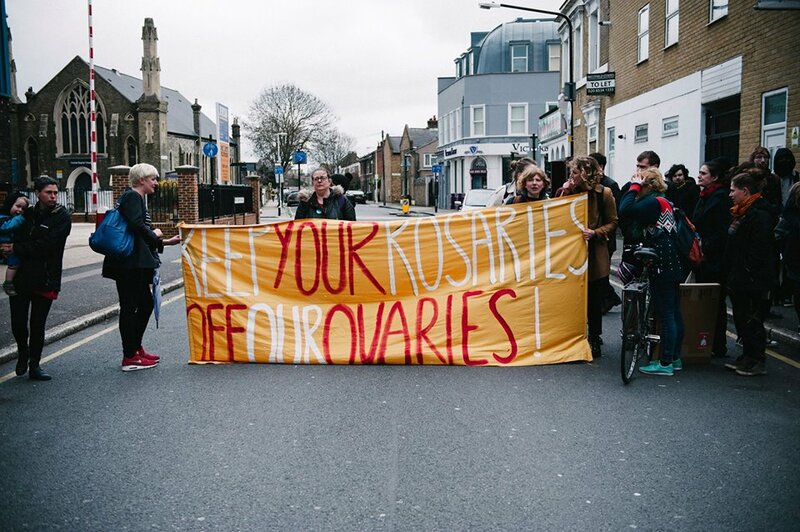 The fight for access to reproductive services (and healthcare more generally) is also one that must take into account the ways in which race, class, migration status, sexuality, trans* identities and other overlapping features of a person’s experience must inform what we consider reproductive justice to truly be. This has been in the forefront of campaigns to extend abortion rights in Ireland and in other countries around the world. Across the UK today, particular groups of migrants are charged for access to health care at 150% of the average actual cost. 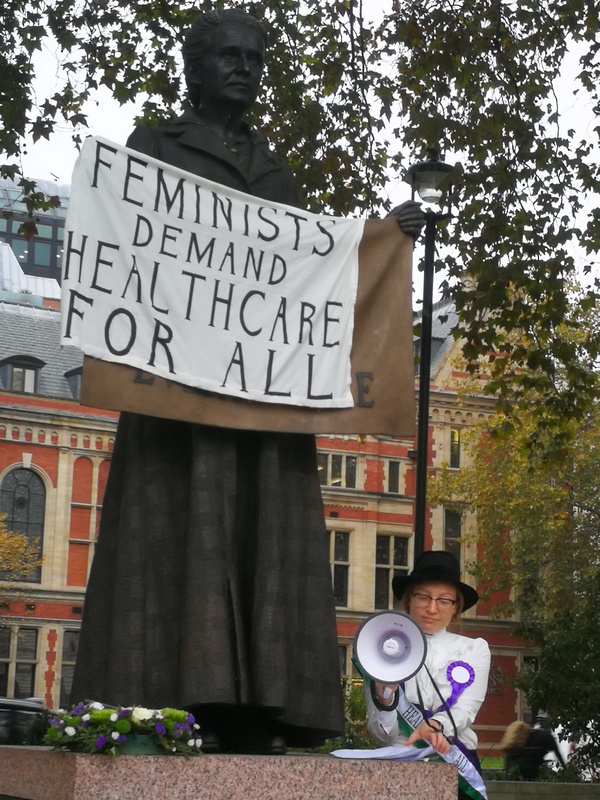 Maternity care and abortions are specifically named as chargeable services, disproportionately burdening women with the impossible decision between the potentially deadly consequences of avoiding care versus accumulating significant debt and facing possible deportation as a result. The fight against unjust deportations more broadly is also ongoing; just last week, a group of activists from End Deportations were convicted of terrorism for using nonviolent direct action to prevent a charter flight from carrying out these deportations. 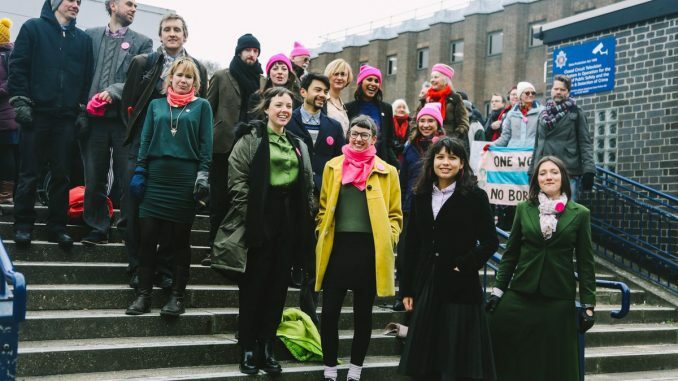 Just like the state imprisoned suffragettes in an attempt to silence them, the Stansted 15 could face life sentences to set an example for all of us who would fight against state violence and injustice. We refuse to be silenced. Instead, we will do our best to learn from the shortcomings of movements, like women’s suffrage, that have not always recognized the intersectional nature of oppression, and we will continue to fight, in solidarity.